Gaga is the movement language by Ohad Naharin throughout many years, parallel to his work as a choreographer and the artistic director of Batsheva Dance Company. Gaga originated from Naharin’s need to communicate with his dancers and his curiosity in the ongoing research of movement. Gaga classes are predicated on a deep listening to the body and to physical sensations. The research of Gaga is fundamentally physical, insisting on a specific process of embodiment. Inside this shared research, the improvisational nature of the exploration enables each participant’s deeply personal connection with Gaga. Gaga provides a framework for discovering and strengthening the body and adding flexibility, stamina, agility, and skills including coordination and efficiency while stimulating the senses and imagination. Participants awaken numb areas, increase their awareness of habits, and improve their efficiency of movement inside multilayered tasks, and they are encouraged to connect to pleasure inside moments of effort. The language of Gaga is in a continual process of evolution, and the classes vary and develop accordingly. 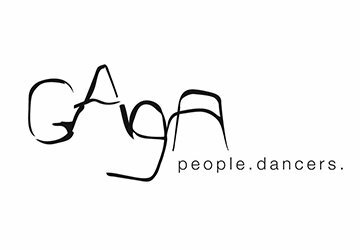 Gaga/people classes are open to people ages 16+, regardless of their background in dance or movement. No previous dance experience is needed. Teachers guide the participants using a series of evocative instructions that build one on top of the other. Rather than copying a particular movement, each participant in the class actively explores these instructions, discovering how he or she can interpret the information and perform the task at hand. Gaga/people classes offer a creative framework for participants to connect to their bodies and imaginations, increase their physical awareness, improve their flexibility and stamina, and experience the pleasure of movement in a welcoming, accepting atmosphere. Gaga/dancers classes are open to professional dancers. Gaga/dancers classes are built on the same principles as Gaga/people classes but also employ the specific vocabulary and skills that are part and parcel of a dancer’s knowledge. Gaga/dancers deepens dancers’ awareness of physical sensations, expands their palette of available movement options, enhances their ability to modulate their energy and engage their explosive power, and enriches their movement quality with a wide range of textures. Ohad Naharin’s Repertory Workshop; this class gives dancers an opportunity to learn excerpts of Ohad Naharin’s choreographic works and to apply their training in Gaga to the repertory. Guy Shomroni with Batsheva Ensemble in 2001 and joined the Batsheva Dance Company in 2004, where he worked with choreographers such as Ohad Naharin, Sharon Eyal and Yasmeen Godder. He also created ten original short pieces for Batsheva’s annual Dancer Create evening. In 2013, he served as Ohad Naharin’s assistant for the creation process of The Hole and in 2015 for the creation of Last Work. Since leaving Batsheva in 2012, Guy and his long-time collegue Yaniv Avraham, also a former Batsheva dancer, have collaborated on two projects. In June 2014, they presented Kuntz, a duet danced by themselves, at the Zira Festival in Jerusalem. In November 2014, the pair premiered a work entitled Vellum, created for 8 dancers, in Moscow. In 2015, Guy again served as assistant to Ohad Naharin, setting his work Minus 16 on the Nümberg Ballet and Ballet Zürich. Guy has been teaching Gaga internationally since 2002. Ohad Naharin is a choreographer and the creator of the Gaga movement language. Born in 1952 in Mizra, Israel, he began his dance career with Batsheva in 1974 and made his choreographic debut in New York in 1980. In 1990, Naharin was appointed Artistic Director of Batsheva Dance Company and established its junior division, Batsheva – the Young Ensemble. He has created over thirty works for both companies and set pieces on other companies including Nederlands Dans Theater, the Paris Opera Ballet, and Les Grand Ballets Canadiens de Montréal. In addition to his stagework, Naharin developed GAGA, the innovative movement research and daily training of Batsheva’s dancers that has spread globally among both dancers and non-dancers. After almost thirty years of leading Batsheva, Naharin stepped down as Artistic Director in 2018, though he continues to serve as House Choreographer. Batsheva will also continue to be the home of Ohad’s research, development, and teaching of Gaga. 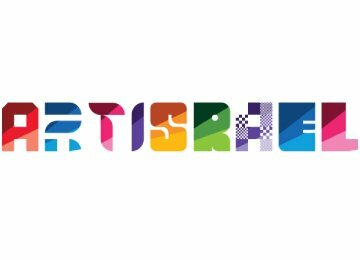 A citizen of both Israel and the United States, Naharin currently lives in Israel with his wife, dancer and costume designer Eri Nakamura, and their daughter, Noga. Participation is limited to 18 people. There is no break in the lesson. Participants should wear comfortable clothes. Gaga/people classes are open to everyone. The quota of Gaga/dancers and repertory classes is over. The event will take place as a closed group.